1: Koedo Kurari in Historic Kawagoe Launches Vending Machine with 35 Local Sakes! 1. Koedo Kurari in Historic Kawagoe Launches Vending Machine with 35 Local Sakes! Kawagoe is a former castle town filled with well-preserved old warehouses, kura. 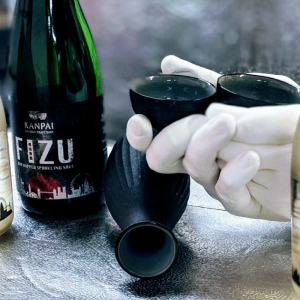 Known for its authentic streets and atmosphere, Kawagoe is now home to Koedo Kurari, which features a unique sake machine where guests can sample 35 local sake producers from the prefecture. 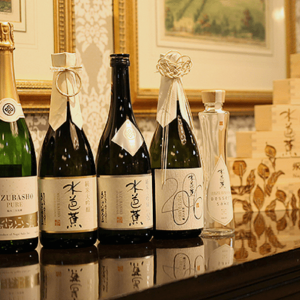 The Showa-Kura sake selection allows for easy sampling of 35 brands of sake in the prefecture. Tastings cost only 500 yen (about $5) allowing guests to sample their choice of four varieties of sake. The automatic vending machine filled with sake is the first in the prefecture. Koedo Kurari sells local vegetables and box lunches and was supposed to run only until the end of January. That limited run has now been extended indefinitely. 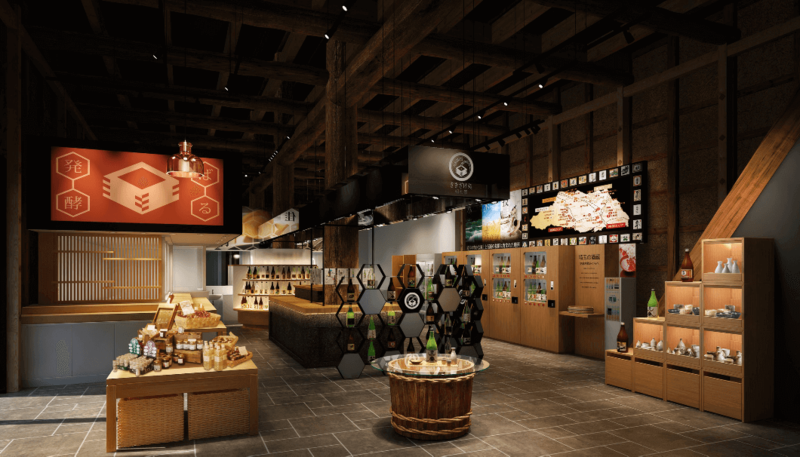 But it’s not just sake, it’s also a great place to buy souvenirs and local goods such as Kawagoe’s famous local soy sauce and high-quality miso. Koedo Kurari is located about 3-minutes on foot from Honkawagoe station on the Seibu Shinjuku Line. Akita prefecture is known for using its ample mounds of snow to preserve vegetables through winter, a process that is said to improve the sweetness and taste. 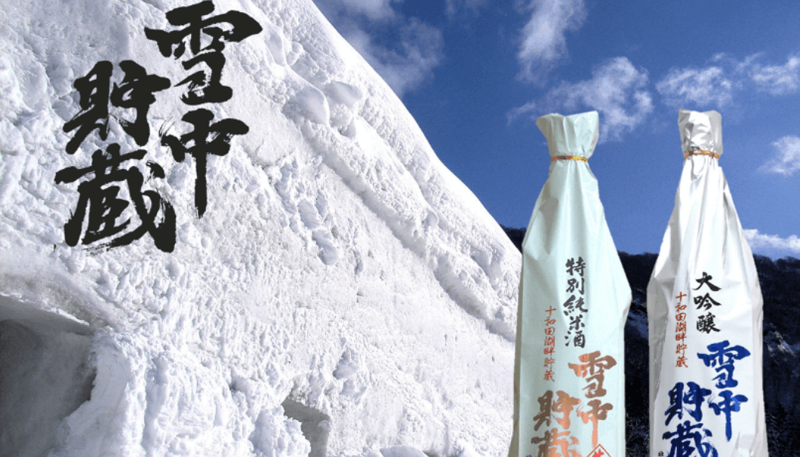 There’s a hint of that ancient process in Hokushika’s latest offering, Secchu chozo daiginjo and tokubetsu junmai, which were both aged under the snow. These snowmounds provide a stable 0°C temperature, keeping the sake undisturbed by the outside temperature and providing an ideal stress-free environment for aging. But how does it taste? Fresh, mellow, and followed by a smooth, round finish. The sake was released nationwide in Japan on March 15th, and in very limited supply. So don’t wait too long to find a bottle and toast goodbye to a long, long, winter. 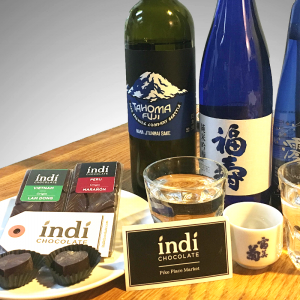 A line of organic Japanese sake cosmetics brand called, “SHUNOBI” is the latest sake collaboration between Inter Cosmesi Japan Co. and long-established Aichi sake brewery, Tsurumi Shuzo. 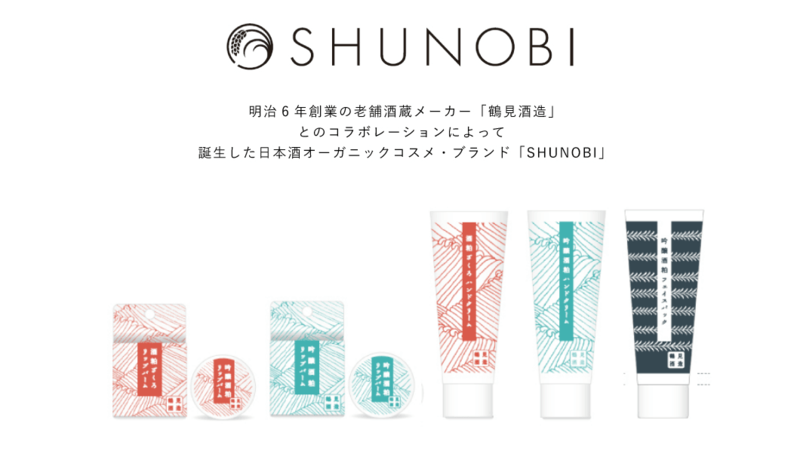 The SHUNOBI line is an organic cosmetic made in Japan and focused on using traditional Japanese materials. The three new SHUNOBI products, launched this winter, were developed by focusing on the cosmetic effect of sake kasu. The domestic factory is located in Japan and received an organic certification from ECOCERT. A recognition of healthful production methods and SHUNOBI’s commitment to using domestic, natural ingredients. The cosmetics combine the characteristics of sake kasu and organic plant ingredients to enhance the effects of each raw material. It’s a collaboration that aims to create a new form of organic cosmetics using sake-based ingredients to make natural cosmetics safer and more popular than ever.